I wasn’t always so zealous about scenic conservation. Even though I was an early adopter in my field when it came to understanding the overall significance of sense of place, some related realizations took decades for me. They dawned on me as more of an ooze than a lightning bolt. So if my journey to the realization I will share in this post is still unfamiliar to anyone, especially as it seems to many in my former field, maybe my journey to awareness could be useful. When I was recruited to North Carolina 26 years ago, I too, soon took its vaunted forests and tree canopied streets for granted, including those along roadways crisscrossing the state. Even though they had been constitutionally banned at statehood in Alaska, my previous community marketing post, I still also really hadn’t given the desecration that billboards cause much thought back then. It would be nearly another two decades before my conversion took hold as a passionate defender of scenic preservation and character against the forces of blight. When I arrived in Durham to jumpstart community marketing in 1989 at the recommendation of a colleague in another community I even considered using one or two local billboards as exaggerated welcome signs. That is until I learned that less than five years earlier, local Republicans had spearheaded a ban here too. It was enacted just as the last billboard was removed from Maine following a ban enacted by voters there in 1977. But North Carolina had just begun rolling out business logo signs at freeway exits here that had been authorized by the U.S. Congress in the mid-1960s. Along with color-coded wayfinding signs for visitor centers and cultural attractions, these signs are part of what are known as TODS (tourist oriented directional signing) which are far more effective for our community marketing purposes anyway. There is an irony to the Durham ban on huge, roadside commercial billboards. A hundred years before Maine voters banished them, their first widespread use along wagon and horse trails and railroad tracks emanated from Durham in 1877. 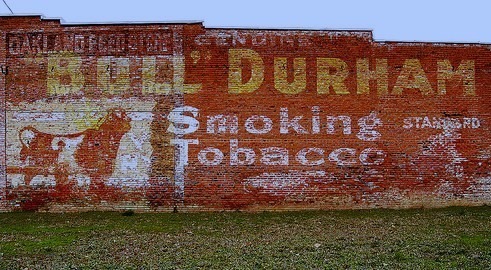 Julian Carr, a partner in “Bull Durham” smoking tobacco was ahead of his time with marketing. The renamed product’s fame took root in 1868 when it was re-branded following its newfound popularity among Confederate and Union soldiers bivouacked here during the surrender that ended the Civil War. Billboards were hand painted back then, often on rocks or barn roofs and siding and Carr deployed four teams of painters across the country securing the rights from property owners. 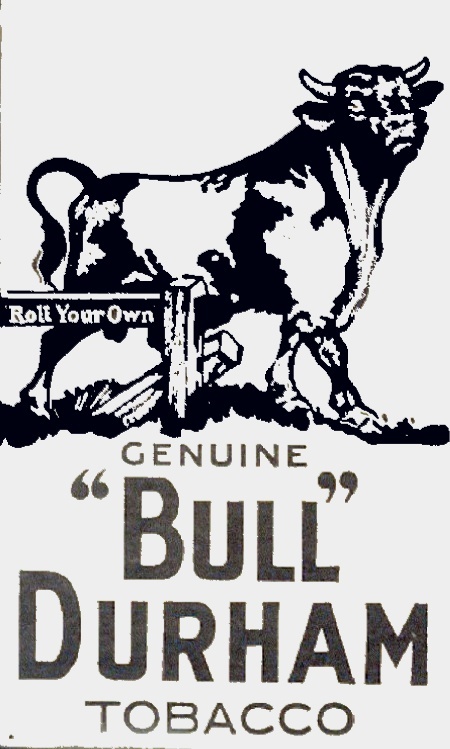 Today, “Old Bull,” the brand’s original 1874 headquarters and factory is a National Historic Landmark in Durham, adaptively reused for apartments, but as part of its authenticity, vintage billboards there have been preserved including one on its roof. Until Carr’s innovative campaign in 1877, billboard companies had limited their desecration to cities, “brawling” with one another over telegraph poles, ash barrels and fences as well as wallpapering entire houses and blocks of commercial buildings. She notes that billboard companies at the time that “few paid regard to the inviolability of private and public property.” The desecration of roadsides today is obviously in their DNA. But 16 years after Carr sent his billboard painters across the nation and around the world, Americans rose once more in rebellion and mounted a hundred-year-long “sense of place” revolt. It was, as documented by Professor Gudis from her research here in Durham in Duke’s outdoor advertising archives, a “battle for aesthetic rights to the roadside environment,” a picket engagement of which had been fought in Durham a few years before my arrival. Americans fought in this rebellion, skirmishes of which continue today, to reclaim the roadsides created with their tax dollars from the forces of blight. Meanwhile in another ironic twist, billboard companies recast themselves as simply private property owners. Losing to aesthetic revolutionaries in the court of public opinion, they have posed as poor victims shelling out tens of millions across the country to sway lawmakers. Lost on those who fall sway today in North Carolina is that billboard companies don’t own the property they use. They lease it, and the laws they pursue are intended to harm the real property owners. Only 3% of the billboards in North Carolina are locally owned by small independent companies. More than 97% are now controlled by a handful of huge out-of-state companies, a cartel of sorts owned by REITS as vehicles to avoid paying taxes and by a revolving door of private equity firms. They actually own property for only 3% of the thousands and thousands of billboards they have erected across the state. Yet, they have successfully hoodwinked some lawmakers into thinking otherwise. But it is something else that led me to join the roadside rebels. These large out-of-state billboard companies are bullies, a realization that finally led to my belated conversion as a champion for scenic preservation and aesthetic rights as a civil right for all Americans. Having divided up North Carolina among themselves, this billboard cartel not only bullies local communities to override the interests of their citizens, they throw their weight around to bully state regulators away from defending the public interest. There are many reasons to despise the state laws they have recently pushed through including clear-cutting exorbitant view zones and soon even the once protected forest at interchanges. Now they are seeking seek to overturn local zoning ordinances including democratically enacted and popular billboard controls and bans. They also hope to transform thousands of illegal billboards to legal status as well as gaining the ability of turning them digital and capable of being relocated anywhere they please. They also seek now to hold taxpayers hostage for millions of dollars for each billboard when roads are widened, something even the Texas Supreme Court rejected last week. But the real reason they are bullies is what they are trying to do to the true local property owners who own the land leased by these billboard companies. But my slow conversion to aesthetic warrior began much earlier. Durham was forced by a large billboard company to take its right to ban billboards and remove them by providing a seven year window for the company to amortize its value all the way to the U.S. Supreme Court. It was declared valid in 1992, less than three years after I arrived. Over the next nine years, a grand compromise was shaped among billboard companies, public agencies and scenic character advocates regarding window-framing to protect trees, reforestation and view zones. But within two years, the billboard companies were back at it, persuading Democrats in the legislature to outlaw the tools for removal endorsed for communities by the U.S. Supreme Court, preferring it seemed to let the forces of nature remove them. Then five years later, just before I retired, neighborhoods in Durham were forced to defend the community’s ban as one of the out-of-state giants strapped a business organization to the bumper in an attempt to bully Durham into reversing its ban. Unsuccessful, they turned again to the legislature as recourse, this time to Republicans for refuge in their continued war of desecration. By then I had joined the small bands of rebels still fighting the aesthetic rights roadside revolt that began 122 years ago. I’ve learned that this revolt has had many victories: promoting roadways as parkways, sparking the City Beautiful movement, empowering communities to establish billboard controls and pioneering community destination marketing organizations. That rebellion as it continues today is a reaction to the road and rail-side desecration Americans saw as tourism took off after the Civil War. The revolt was not only in defense of tourism but because tourism related businesses often fail to understand that people are drawn to destinations - not to hotels or mainstream amusements or pursuits they can do at home. Aesthetic rebels such as me know that without this insight, tourism usually kills the very things it loves. And that is why I have become a zealot for aesthetic rights. People who skipped over a recent post entitled 7 Truths may not have realized that they pertain to the spectacular shift Americans have made in how they access information while on the road. Take maps for instance. By far, the way Americans now access maps is online, and according to a survey, 90% do it on the go via a smartphone where they are useful not only for navigation but to pinpoint travel services such as restaurants, lodging and fueling stations. According to Michelin, which has produced old fashioned static paper maps and guides for more than 100 years, 39% of Americans still keep one in the car as back up. Less than 2% apparently continue to use roadside billboards. Although these days, my back up to GPS is a “large print” AAA map, I still have a 1967 Michelin map of France from my first passenger airplane trip of any kind when I had just turned 19 years old. That is also the year before Michelin started publishing maps and guides for destinations in the United States. North Carolina first published a state highway map in 1916 when federal aid became available, and then annually or every other year since 1924. The 1930 edition even showed motorists how to do hand signals for stopping and turning. The first one printed in color was the 1936 edition, which included a guide to what were then considered the state’s major attractions (shown in the image below,) one of which was in Durham. Of course settlements had been mapped here beginning in 1590. It wasn’t until three years after I arrived in North Carolina to officially jumpstart visitor-centric economic and cultural development for Durham in 1989, that city and regional insets began to be added to the state map. By 1994 when we began the shift to moving all Durham information to that platform, Canada and Scotland had put their entire atlases there, the latter being the first interactive maps. Our organization was one of the first in the nation to incorporate the responsibility to determine or relay “impedance” data to online map companies. This is what permitted these maps to recognize one-way streets and navigational turns. Whenever your GPS misleads you - and 63% of us have had that happen - don’t blame online maps, blame the community and/or state that has neglected to update its data which is even more contaminating to static paper maps. Even venerable Michelin is going online. Most Americans first learned about online maps through MapQuest beginning in about 1996 but codes written and adapted by that company go back to its origins in the 1980s. Then along came Google Maps in 2005 built on that company’s acquisition of the work of two Danish brothers in Sydney. Apple launched the first iPhone less than 24 months later, although smartphones had been conceptualized in 1971, just before I graduated from BYU, and were offered for sale in 1993, on the heels of that first digital map created by Xerox. Adoption of smartphones by Americans has been at a blinding rate of speed. From just 35% four years ago, the fraction of Americans now using a smartphone has reached two-thirds, 75% of all mobile device users. This means that within just 48 months, the percentage using these devices flip flopped to the percentage not using them. The aftershocks of this seismic shift are just now becoming apparent. And its substitution by users as the primary means of navigating to businesses as well as learning about new products has been even faster. Smartphones are also the primary or only means for nearly 1-in-5 Americans to access the Internet including 13% of those making less than $30,000 per year. Half of smartphone users have their devices to access help in emergency situations and 17% to report neighborhood problems. Marketers, as a group, can be extremely slow to shift gears with a few even still using roadside billboards, earning a reputation for desecration marketing. But laggards notwithstanding, it appears that devices such as these have already becoming the salvation for restoration of scenic character along our roadsides. In an essay a week ago, I suggested that North Carolina’s annual Interagency Report on Litter Cleanup, Education/Prevention and Enforcement was missing some information. But I was mistaken; so maybe with this post, I can fill in some of the blanks. Litter clean-up has many purposes including public health, achieved by reducing contaminants in storm water, but it is also to safeguard scenic character, which is a core trait in the state’s appeal for economic development. So I questioned why programs to proactively beautify roadsides were omitted. It turns out these are beyond the legislative scope of the report and I sense that over-delivering may not be well received. It is too bad because North Carolinians are largely unaware of how much the NC Department of Transportation does to protect and enhance the state’s overall appeal along its roadsides. Roadsides are the first and last impression that more than 90% of the state’s visitors receive, as well as tens of millions of potential visitors who are just passing through. When I arrived in Durham twenty-six years ago to complete the last half of a four-decade career in visitor-centric economic and cultural development, Bill Johnson, a now retired NCDOT roadside engineer was deep into two, now award-winning, beautifications projects. Today, North Carolinians and visitors to the state are greeted with 1,500 acres of wildflowers across the state as they drive along Interstates here. Bill also started a program to recognize and preserve scenic byways along secondary roads across the state. Soon the number will be increased to 58 covering more than 2,300 roadway miles showcasing every part of North Carolina including Durham, one of the few urban counties to set one aside, a favorite of mine astride a trusty Harley-Davidson Crossbones. It is also a stated goal of NCDOT to “have well established and aesthetically pleasing forest along the highways in North Carolina.” I haven’t seen a report for this decade but from the 1960s through the 2000s, NCDOT planted about 5 million trees along roadsides here. A good share were planted in league with the America Treeways Program, a partnership of many agencies and volunteer organizations with the National Tree Trust established in the early 1990s by the first President Bush, a Republican. Back then, it was also a bipartisan national policy to have well established and aesthetically pleasing forests along highways. Add that to the list of intergenerational compacts that have been shattered over the past decade. Today, in North Carolina, many legislators inexplicably work overtime to sacrifice trees along the 14% of roadways that are part of the National Highway System here where they still remain, even though protected in the state constitution. As a result, except whenever the Governor intervenes, Carolina’s once vaunted appeal for scenic character is rapidly falling into tatters. I wonder as re-enactors, history buffs and other visitors gather in Durham, North Carolina this weekend if they will realize the even greater symbolism Bennett Place has to this community. The otherwise tranquil setting is not only where the Civil War ended 150 years ago this week, it marks the place where Durham began to gather a realization of its sense of place. One of the surprises in the new book entitled, To the Bitter End: Appomattox, Bennett Place, and the Surrenders of the Confederacy, is not only how much of it is new information but that author Robert M. Dunkerly includes a number of essays in the appendix. One is entitled The Long Road Home from Appomattox by another Park Ranger and interpreter, Ernie K. Price, who has been researching the journey home of Confederate soldiers for many years. After Appomattox, people who would be giants among Durham’s founding generation were on their way home, having been paroled as part of Lee’s surrender of his much smaller Army of Virginia including several North Carolina units such as the 3rd Cavalry. Most, traveling on foot, would have reached here in time to hear intense picket battles raging across southern Durham as Union Cavalry chased the remnants of Confederate troopers in the hours before a ceasefire took effect. As Price notes, while returning Confederate soldiers would have traveled in small groups, the last few miles to home were often alone. I suspect that if it wasn’t surreal enough to find the war still winding down as they were greeted, then they heard the news was of President Lincoln’s assassination. I have learned since first penning this essay that next month Durham will be the culmination of another reenactment entitled, A Soldier’s Walk Home, in recognition of the even longer walk home another Durham Confederate soldier made from the coast. The legacy of Bennett Place is not only that Confederates resisted calls to continue a guerilla war, although several units tried. By 1868 and only 18 miles west of Bennett Place, gangs of KKK riders were terrorizing the countryside. That is also the year that tobacco, rebranded as Genuine Bull Durham, was being mailed to fulfill requests from former Union and Confederate soldiers who had helped themselves to it during the truce, marking the genesis of the New South. Bennett Place remained a working farm until purchased by Brodie Duke in 1890, twenty-five years after the surrender there that ended the Civil War. Duke saw it as an enterprise and tried to sell it as a novelty during the 1893 Chicago World’s Fair. Coincidentally, this is also when two of those returning Confederate soldiers, Julian Carr and Washington Duke, helped Trinity College relocate to Durham which later became Duke University. At its former location in Randolph County, Trinity College had been one of several places stretching from Greensboro to Salisbury where Confederate units awaited the outcome of the surrender negotiations in Durham. In 1908, 43 years after the surrender, Bennett Place was purchased by another of Durham’s founding generation, industrialist Samuel Tate Morgan, who hoped to see it preserved as an historical park. It was also the period when another North Carolinian, Thomas Dixon, wrote The Clansman (1905) glorifying and rebranding the KKK from terrorists to saviors and forming the basis of D.W. Griffith’s movie The Birth of a Nation in 1915 and the second coming of the Clan. Many former Confederates in Durham were staunch segregationists but instead of dawning white robes and burning crosses, they were lending a helping hand during this span to evolution of an “entrepreneurial enclave” of black owned enterprises including the founding of a university. But before Morgan’s dream could be realized, he died in 1921, a few months before membership in the KKK nationwide peaked. His family and friends in Durham took up the cause. It is fitting that as KKK membership reached 4 million, on October 12, 1923 Durham leaders including many former Confederate soldiers were instead erecting the Unity Monument at Bennett Place. His vision about the importance of honoring place inspired other at the time and while they may not realize it, continues to generations here still working to promote and shape Durham’s distinctive sense of place. Hopefully, in a few years, we remember to recognize the 150th anniversary of so much that makes Durham distinctive and appealing. Hopefully, we will not instead be mourning its demise. Some of my progressive friends don’t like to hear this, even from a moderate Independent such as me. But there is something to the concern that laziness may play a role in why a certain amount of poverty seems impervious despite societal safety nets. More than 4-in-10 people who are poor seem to think so. So do most progressives I suspect. They are just less prone to stereotype the poor than many at the other end of the spectrum. They also reject remedies from the far right that seek to starve out the small number of poor who are lazy with solutions that undermine millions of children in those homes along with the working poor, who as I will show, are among the most industrious Americans. Only 26% of drug and alcohol treatment centers are residential and only a handful of those go beyond a few weeks or months. Even fewer are centered on instilling a work ethic, as are the most successful, some of which also happen to be at no charge. But ask the latter what the biggest reason is for washing out within the first months or so, regardless of socio-economic level and you’ll learn that it is an unwillingness to work. Of course, this is a very small portion of those in poverty but while the question hasn’t been asked recently, in opinion polls 40% of those in that circumstance believe some of their peers are not doing enough and don’t really want to work. This may also explain why many who are addicted prefer to panhandle along roadsides, which seems like it would be much harder than holding down a job. But refusing to get clean, not lack of access, is why those who are panhandling aren’t able to access shelters and related workforce training. Take away those who suffer from mental health issues and those who are crooks and you’ll find many who just refuse to work. By the way, it hasn’t been posted yet but there is an excellent overview of the state of rehab in America in the investigative Mother Jones Magazine this month entitled Hung out to Dry by John Hill. 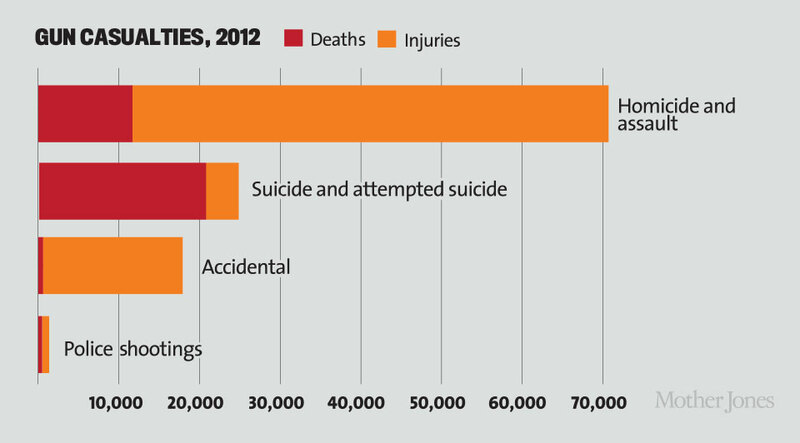 Apparently, of the 18.7 million Americans who needed alcohol treatment in 2010, only 1.7 million received it. In a recent nationwide study of Americans, only 24% felt they had achieved the American Dream while 36% felt it unlikely including 21% who no longer give it much thought. But 86% cited a strong work ethic as essential to achieving the American Dream. Close behind that was parents or other adults who instill honesty, responsibility and persistence, followed by good schools. Telling is that 42% felt the answer is individual effort compared to 39% who saw it being aided by society. Disturbing is that 19% didn’t believe that either was the answer. Equal percentages (43%) felt that the American Dream was endangered by a decline in work ethic and hard workers being shut out. The fact that 14% felt that neither reflected their views may shed light on the number who are lazy among all socio-economic strata. Since 1967, the Current Population Survey has been measuring among other things, the desire among individuals for work, last updated in 2014. This is analyzed in a paper published last month. My friends on the right have one answer for every societal ill: government. Government undermines values, government caused the Great Depression and the Great Recession, government causes pollution, government caused the BP spill in the Gulf and on and on. Ironically, the study documents that the 35 year decline in the desire to work started just as let ‘em “sink or swim” conservatives launched an all out attack on the safety-net, dramatically cut taxes for the rich and began to harangue and stereotype the poor. The fraction of non-workforce participants reported as “wanting a job” trended up during the 1970s, then began a decades long slide beginning at the dawn of the 1980s just when the so-called Reagan Revolution promised the opposite. A report last year in the Wall Street Journal noted, using results from a joint survey by that paper and NBC News, how much the opinions of Americans has changed since 1995 regarding the causes of poverty. 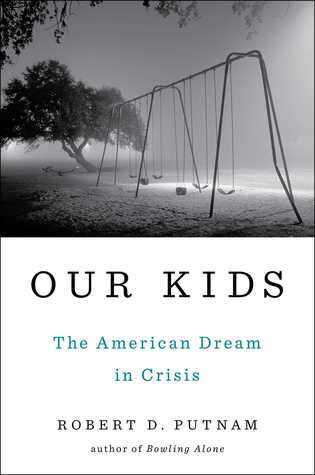 Today, “Americans are as likely to blame poverty on circumstances beyond people’s control…,” although the majority of those holding power in Congress appear to remain stuck in the 1990s. The percentage of Americans still holding to the view that it is because of laziness has plummeted, less among Republicans than Democrats and Independents and white Americans overall. This hasn’t stopped the promotion of failed solutions across the ideological spectrum. Personally, I favor a national living wage calibrated to localities, more affordable education and a return to a more progressive tax rate to fuel aspirations to achieve the American Dream. But from my four decades as a chief executive, I feel we need to also find solutions that will address the 2-in-10 Americans who appear a bit lazy without, as many do today, stereotyping the poor. Studies also show there is no evidence that people who are poor value education any less or are any less involved with their children or are more addicted to substances than Americans overall. Nor is there any evidence they are lazier. In fact, many of these things correlate to incomes as they rise. Laziness cuts across the entire spectrum, regardless of pocketbook size. So should any solutions. The comprehensive litter report for North Carolina is out. It is required by state law and carried out by NCDOT’s Office of Beautification, a part of the Roadside Environmental Unit. 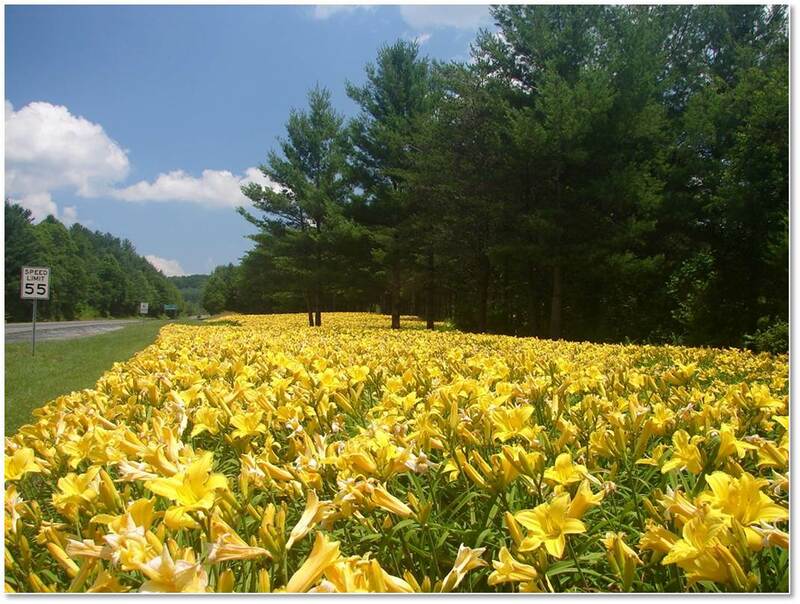 Roadside is also the unit responsible for creation of Scenic Byways and North Carolina’s award-winning wildflower program. The annual report is assembled each spring to document interagency efforts to clean up, and in some cases even beautify, roadways and streams throughout the state. It includes some of those performed by nonprofits and other groups of volunteers, as well, but not all. There are many ways communities should be using the report including publishing similar reports that delve deeper into efforts at the local level for towns, cities and counties. The report provides details each year that can and should be used to establish metrics for benchmark communities. Some breakdowns by county are not always included which is a shame. As comprehensive as the state-wide report is, there are some glaring gaps. For instance it does not include losses due roadside deforestation including those billboard companies now permitted to clear cut huge swaths of forest, nor agency efforts related to reforestation and afforestation along roadsides as well as increase wildflower acreage. Data such as this would be useful to calibrate related beautification efforts to shore up an important element of the North Carolina brand, but it would also illustrate a need for a roadside forest management plan. Clear in the report is how much effort goes into picking up after people compared to proactive efforts to enhance the state’s curb appeal to a new level, as well as how little by comparison is done to police the deliberate desecration of roadsides and streams. But it doesn’t appear any forensic analysis was conducted to identify litter sources for follow up either to address ignorance if that was the cause, or to prosecute when it is being done deliberately. Litter citations and convictions at the end of the report merely illustrate that both law enforcement agencies and cleanup efforts are failing to follow up on behavioral studies. For instance, we know now to carefully monitor abuse of animals because it is a sign that domestic abuse of spouses and children is also likely at these locations. Furthermore, we know that not only do smokers contribute significantly to the littler stream, but even when butts are excluded, they are two times more likely to litter. This means that educational and enforcement efforts can be more effective if focused on the 15% (13.4% daily) who smoke. It also means that educational efforts are best focused on socio-economic groups where use of tobacco products is exceptionally high. The findings also suggest that dealing with mental health issues such as depression is a means to reduce litter and debris in streams and along roadsides. It is difficult to understand why Durham County with a greater ratio of commuters and visitors per 1000 residents than Wake County but with only 1/3rd the land area and resident population, issues less than 1/10th the number of annual citations for littering. There are many ways that appearance advocates, beautification groups and policy makers can use the valuable information in this report. But making the appearance of the state, as well as its towns, cities and counties as much a priority with lawmakers as it is with residents, visitors and newcomers, including those seeking to relocate businesses, will close the biggest gap of all. Strategy is about alignment. If job creation and enhancing the North Carolina brand are important objectives, we need to make appearance and beautification an overarching priority. I was reminded while streaming the movie Soda Springs, just how much Oklahoma meant to me growing up where the Middle and Northern Rockies of Idaho intersect. For a few years, KOMA 1520 was the only way kids like me who were coming of age between the late 1950s and 1960s in the Mountain region of the west could hear the Beatles, the Rolling Stones and Wolfman Jack. Atmospheric conditions late at night made the Oklahoma City station seem like the center of our cultural universe. But the movie reminded me of an even stronger connection between Idaho and the part of Oklahoma around Stillwater, which is the center of “Red Dirt,” a genre of Country rock where indie rock and alt-country intersect into Americana. Many people think “Red Dirt” emerged in the 1990s but for me it is the sound heard on the bootleg Basement Tape cut in early 1967 by Bob Dylan and what became the group The Band. Long before they were officially released, Wolfman made many of the songs hits such as I Shall Be Released and Quinn the Eskimo. You can also hear its influence on music Dylan recorded a few years later with Leon Russell. Red Dirt music transcends geography. Today you can hear its influence on Garth Brooks and Miranda Lambert. The movie Soda Springs reminded me of an Idaho connection to the stars who have remained true to the genre such as Mickey and the Motorcars and Reckless Kelly. The ancestral ranch where I was born rests where the Bitterroots and Tetons meet along the 5,259 foot Yellowstone Highlands. A six day ride by horseback from the back of the ranch west of Ashton takes you down across sagebrush valleys and back up to Challis at 5,253 feet in the drier mountains of central Idaho. About the same population of around 1,000, Ashton and Challis, until recently were also rivals in sports until put in different divisions. Challis has spawned two of the top Red Dirt bands founded by brothers in the Braun family who are now Austin-based. They come home to Challis and Idaho each year for a Red Dirt music festival in August that I hope to catch one year on my way to an annual lakeside rendezvous. The movie features two of my Red Dirt favorites Rock Springs to Cheyenne and Carolina Morning, both of which prominently feature mentions of Idaho, one written by an Idaho native and the other by a transplant and both performed by a band formed in Idaho. The former was written in 1982 by Kip Attaway based on his seminal trip to Idaho in the “winter of ‘72,” at a time when a few months from graduating at BYU, I was experiencing my own bad stretch. The latter was written in 1988 by Idaho rancher-songwriter Pinto Bennett but I enjoy the versions performed by the current day Red Dirt band Mickey and the Motorcars. They predate the song Idaho written in 2006 by Americana artist Josh Ritter. 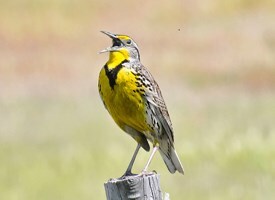 All three songs emote the Country Rock sound of the early 1970s pioneered by Gram Parsons and Emmylou Harris and made famous by the Byrds, Linda Ronstadt, Jackson Browne and the Eagles. Soda Springs the movie, like Red Dirt country, is unpretentious like the state it depicts. It is an hours drive north of where my fifth generation Idaho roots first took hold before it was a territory, long before it was a state. My maternal grandparents lived in and around Soda from the time I was born until I was in high school. The mountains are softer there than in my native nook but have their own story to tell. It is a simple story set in Idaho, unmistakably filmed in Idaho, written and produced and sound-tracked by Idahoans who, like me see it far more for its mountains, rivers, lakes and range land than the corner where world famous potatoes grow. For anyone unable to discern distinctions, you may find the first few lines of Red Dirt pioneer Tom Skinner’s song Nickels Worth of Difference useful solace. For anyone needing a country genre scorecard, click here. If you’ve Never Been Out West or to Idaho, it is true “the mountains touch the sky.” But its subtleties are best experiences on horseback. A recent article heralded the halo effect of advertising, but the almost impossible task of measuring the effectiveness of traditional advertising means any probable halo effect is more attributable to marketing. This is because marketing is a blend of various communication activities, only one of which is advertising, and less and less of that is traditional advertising which experts now find has an overall negative return on investment. It is this blend, when customized to each organization, that creates a synergy transcendent of any of its elements. Unfortunately, a survey released this month shows that less than a third of marketers (32%) put data and metrics “at the heart of their strategic decision-making. What is disturbing about that finding is that data-driven marketing is nothing new. By the early 1980s, it had found its way to the core of a small nonprofit community marketing organization I led. Granted, I was an “early adopter,” as I still was in 1989 with similar startup with which I was involved. But seeing how quickly this approach enabled early adopters to leapfrog more established competitors, one would expect it to be more mainstream by now. Studies pinpoint that the reason so many marketers remain mired so far in the past is because of they lack a strategic mindset even though recruiters for top marketing positions now find that attribute, along with analytic skills, more important for marketing leadership than creativity. A study conducted in 2012, long after I retired from four decades in the field of community marketing, showed that the nonprofit sector in the U.S. had grown 3.5 times the rate of the for-profit sector. Fast Company magazine surveyed their ten most innovative companies in not-for-profit recently to ascertain what talents and skills will be in most demand in this sector over the next five years. Top are data-savvy skills. Next come design skills. Those, along with technology were at the core of my last non-profit startup 26 years ago. I don’t say that to gloat but out of puzzlement. We couldn’t have been three decades ahead. Really! If I stumbled into those competitive advantages so long ago, how is it that so many of my former peers across the country apparently still don’t get it or is it? Or maybe its that their governing boards don’t get it? Survey results show that 96% of marketers today know that data is important or very important including 9-out-of-10 in senior management but as the authors point out, that is very different than knowing how to collect, manage, analyze and utilize it. Telling is that fewer than half of marketing organizations give more than half of their own employees access to their data. This is why so many go to the trouble of contracting analysis to show how effective their marketing strategies are, known as the “turn-on” ratio. However, they nearly always fail to measure the equally significant “turn-off” ratio such as when their ads are merely a form of yelling or placed in the wrong context such as on billboards where they are associated with desecration. Even Super Bowl ads have a 5-to-1 turn-off to turn-on ratio, further illustrating that less than a third of marketers have data and analytics at the heart of strategic decisions. The president of the Rockefeller Foundation is quoted as saying that nonprofits in general are projected to continue to hire more talent than the for-profit sector over at least the next five years. Silverpop, an IBM company, has just published an ebook entitled, The New CMO Guide – A Handbook for Marketing Leaders. This is also an example of content marketing, a form of advertising that has replaced traditional advertising. The authors note research showing that 82% of marketers feel unprepared to deal with the data explosion. In part, this is why the average tenure for chief marketing officers is now only 48 months. Even more so, this may also explain why, according to Spencer Stuart, this tenure was less than 24 months just a decade ago when the importance of data belatedly began to dawn on marketers. But especially in the field of community marketing, hiring a chief executive with a strategic mindset who understands analytics isn’t enough. It is an organization’s culture that makes all the difference and sets the tone for “innovation, growth, market leadership, ethical behavior and customer satisfaction,” according to a new white paper published by Spencer Stuart, also a form of content marketing. But Drucker wasn’t referring to a document as much as the strategic mindset. He continues that “Cultural cannot be manufactured; It has to be genuinely nurtured by everyone from the CEO down. Ignoring the health of your culture is like letting aquarium water get dirty. A shared culture creates critical alignment. And that alignment must also include each and every member of an organization’s governing board. Whenever I guest lecture to students in hospitality, many of whom are training to follow my now concluded career path in visitor centric economic and cultural development I jokingly caution them about two things. But I am not really joking when I tell them that while they will probably graduate from college in the top 1% of knowledge in that field, they will quickly face two challenges. The odds that their supervisor is engaged and still learning are slim because workplace surveys show that even among managers, only 35% are what experts call “engaged,” while 51% are just putting in time. An even more worrisome 14% are actively trying to undermine others. The second challenge they will face is that within a few months the relevance of their knowledge begins to degrade becoming obsolete within the same amount of time it took them to graduate. Knowledge today is fleeting or “disposable” in the words of leadership researcher and fellow alumnus Liz Wiseman, although 15 years apart in our tenure at BYU. A key to being workplace engaged is to be a continuous and never-ending learner. A book Wiseman published six months ago had given me pause of introspection about my career and what people may have seen in me that caused them to put me in the “pilot’s” seat of my first DMO within 36 months of graduating from college. 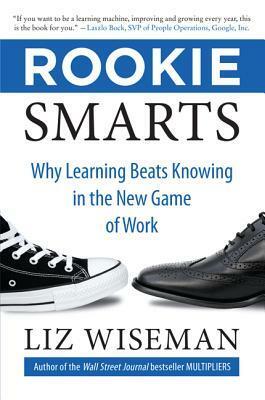 The book is entitled Rookie Smarts – Why Learning Beats Knowing in the New Game of Work. Wiseman doesn’t discount the value of experience but promotes the evidence that “real vibrancy comes from thinking young…with the acuity and agility of a newcomer...” and generating new learning every day. The book isn’t written to inspire rookies, though it will, but to inspire veterans to channel their inner rookie smarts. I came into my first CEO position for a DMO in my mid-20s and about 80 years after the first DMO in the nation was established. But it was clear to this rookie then that most DMOs had failed to evolve. The next thirty years were a golden age of community destination marketing for early adopters with advances in research, polling and analytics as well as the rediscovery of the importance of sense of place and placed based assets. This was the span of time when travel for conventions went into a long, slow decline, now just 10% of travel overall. It was also when traditional advertising tipped into decline as a marketing tool, sliding to a negative return on investment. It was a period when federal government innovations such as the Input-Output model for measuring economic impact, GPS, mobile telephony and the Internet were made available for consumer use and coupled with personal computers including Smart Devices to fuel the sharing economy. Who wouldn’t think like a rookie with changes such as these making so much knowledge disposable? However, judging by a metric for those willing to undergo third party diagnosis, I fear that 80% of DMO execs may have either retired in place or have been mothballed in place by their governing boards or community leaders. But even if the reason these DMOs seem decades behind is due to the latter, organizational researchers at Bocconi University and Singapore Management University find that for subordinates, being candid to power holders pays off. Graduates seeking a career in community destination marketing won’t have to worry about DMOs becoming obsolete as one or two outside consultants always seem to warn although there are plenty of communities on track to become unmarketable. In her book, Wiseman uses the terms rookie and veteran for mindsets that “illustrate patterns of behavior.” DMOs have always functioned in a VACU world, an acronym for and environment of “Volatility, Uncertainty, Complexity, and Ambiguity” and none more so than today. While DMOs will always be in demand wherever sense of place thrives, it is true that many communities are quickly becoming obsolete as destinations. For any community wishing to change course before it is too late, read the part of the book when Wiseman worked at Oracle and its founder, Larry Ellison suggested she cut her staff by 77% and rebuild. Many books on leadership and workplace success should have been a white paper or even a blog post. Rookie Smarts, however, is jam packed with relevant and useful information on every page and one that I would add to the bookshelf if I were just a rookie starting out after college.